Lawrence Mishel, the outgoing President of the Economic Policy Institute, is finally – after 30 years at the progressive economic research organization – seeing one of his wishes come true. Leaders in both major political parties are talking about wage stagnation, and how to address it. “I’ve always wanted to elevate the concerns about people’s paychecks as the salient economic issue,” he said in an interview in his downtown Washington office. The bad news is that the stagnant wages conversation is being co-opted by the Trump administration and congressional Republicans to sell a tax cut bill that will primarily benefit corporations and the wealthy. Even so, Mishel counts that as progress. When Mishel joined the then-embryonic EPI as its first research director in 1987, all of the major right-wing think tanks denied that wage stagnation among the working class was a problem, even though EPI was among the first to show the trend unfolding, using the federal government’s deep trove of economic data. Few Democrats recognized the issue, either, Mishel said. “The polls show that not many people buy it, even among Republicans, but it’s interesting that this transformation has happened,” Mishel said. Mishel has had a lifelong passion for the plight of workers, going at least as far back as his Philadelphia boyhood and days at Penn State University. At Penn State, he combined that passion with a passion for economics, and after receiving advanced economics degrees from American University and the University of Wisconsin at Madison, he went to work as an economist for several unions, including the United Auto Workers; United Steelworkers; the American Federation of State, County and Municipal Employees; and the Industrial Union Department of the AFL-CIO. When Mishel became president of EPI in 2002, the think tank was beginning to gain a reputation as being more than an advocate of pro-worker policies; it has a reputation for rigorous, fact-based scholarship and economic analysis that is relied on by a broad range of scholars, journalists and lawmakers. Its “State of Working America” reports have become a bible for people seeking to understand the economy from a Main Street point of view. This month, Mishel hands over the reins of the EPI presidency to Thea Lee, who was previously deputy chief of staff for the AFL-CIO and a leading spokesperson for the union on issues like the impact of trade policy on workers. The current state of the economy presents a classic economic conundrum. Economic textbooks say that with today’s national unemployment rate, 4.1 percent, we should see wage inflation caused by a tight labor market. The last time the national unemployment rate averaged 4 percent, in 2000, wages rose on average about 5 percent a year, as shown in this wage tracker by the Federal Reserve Bank of Atlanta. In 2017, the wage tracker shows wage growth in 2017 hovering around 3.4 percent. EPI research further finds that this substandard wage growth has been even worse for people at the lower end of the income scale, whose wages in 2016 grew only about half as much as those of the top 20 percent. “A true sign of a robust economy is rapid wage growth, and we don’t see wages growing that much faster than inflation, even with roughly 4 percent unemployment,” Mishel said. Barring a last-minute surprise, passage of the Trump administration/Republican tax bill this week appears inevitable. Asked to what the American economy might look like a year after the tax bill is passed, Mishel predicted a continued stock market rise because companies, already flush with cash and finding themselves flooded with more, will continue to choose to use that cash to buy back their shares rather than invest in creating new jobs. The big winners will be stockholders and corporate executives. Workers? Not so much. A boost in stock prices at best only benefits the third of American workers who have meaningful stock holdings, primarily retirement accounts. And even among that group of workers, the average retirement account stock portfolio is less than $100,000. “The rising stock market is not a sign that the economy is doing well,” Mishel said. In fact, an overheated stock market, disconnected from the pulse of the Main Street economy, is prone to the kind of explosive bubble-burst that the nation saw in 2008. • Raising the minimum wage, which Mishel said would have ripple effects beyond low-wage workers to boost the take-home pay of about 30 percent of the workforce. • Targeting job creation in areas of high unemployment, which are disproportionately communities of color. Ultimately, government policy should be to ensure that every person who wants a job has access to a job, publicly funded if necessary. “You want a situation where employers are chasing after workers, and not workers chasing after employers. When employers are chasing after workers, wages go up,” Mishel said. • Assuring what Mishel calls “day-one fairness,” which would include eliminating such practices as misclassifying full-time workers so they are not eligible for health benefits or overtime, or forced arbitration and noncompete clauses that prevent workers from challenging bad worker policies or even leaving a bad employer to work for a competitor. When Mishel is presented with the view that Donald Trump’s presidency and right-wing control of Congress has placed many of these policy goals further out of reach, he offers a contrarian view. Examples include the increased willingness of the Democratic Party mainstream to embrace universal health care, a $15 minimum wage by 2023, and support for collective bargaining for all public employees, Mishel said. This blog was originally published at OurFuture.org on December 19, 2017. Reprinted with permission. About the Author: Isaiah J. Poole is communications director of People’s Action, and has been the editor of OurFuture.org since 2007. Previously he worked for 25 years in mainstream media, most recently at Congressional Quarterly, where he covered congressional leadership and tracked major bills through Congress. Most of his journalism experience has been in Washington as both a reporter and an editor on topics ranging from presidential politics to pop culture. His work has put him at the front lines of ideological battles between progressives and conservatives. 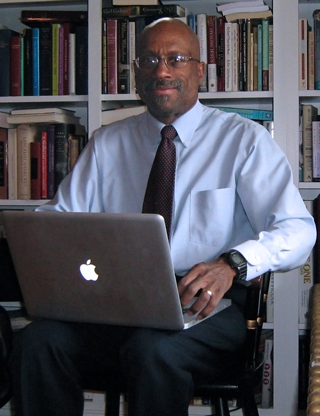 He also served as a founding member of the Washington Association of Black Journalists and the National Lesbian and Gay Journalists Association. February, the first full month of the Trump presidency, witnessed solid jobs growth of 235,000 with the headline unemployment rate little changed, at 4.7 percent, according to the Bureau of Labor Services monthly report. Trump has already tweeted to claim credit for the results, but neither his plan nor his administration were in place. In fact, the February figures, a record 77th straight month of jobs growth, result from the momentum of the Obama recovery, plus whatever benefit or harm came from Trump’s bombast. The jobs growth will harden the Federal Reserve’s resolve to raise interest rates again when its Open Market Committee meets next week. The Fed is acting in anticipation of an expected rise in inflation, that is to date not much in evidence. By raising rates, The Fed is choosing to put a drag on the economy, even though full recovery is a long way off. Nearly 15 million people are still in need of full-time work. The share of the population in the workforce – 60 percent – is still down from 2000. If our work rate were back to where it was, about 10 million more Americans would have jobs. Over the course of the recovery, most of the jobs created are contingent – part-time, short-term, contract work – with few benefits and often low wages. Lawrence Katz and former Obama economic advisor Alan Kreuger found that a staggering 94 percent of new jobs created from 2005 to 2015 were “alternative work,” contract or short-term or contingent. Trump’s trickle-down agenda – to cut taxes on rich and corporations so they will create jobs – doesn’t address this reality. In fact, corporations are swimming in money, and using it increasingly to buy back shares or for mergers that do little to create jobs. Companies, contrary to Trump’s rhetoric, don’t lack capital or access to it, they lack demand for their products. Democrats are sensibly critical of the Trump agenda, but too many fall back to a defense of Obama’s policies as the alternative. Obama helped save the economy that was in free fall when he took office, and presided over record months of jobs growth, but his policies, frustrated by Republican obstruction, did little to counter the stagnant wages, growing inequality and increasing insecurity of the modern economy. The challenge is not simply to expose Trump’s bait and switch on the working people who voted for him, but to lay out elements of a bold alternative agenda. Bernie Sanders modeled that effort in his surging primary challenge. Now, Senator Sherrod Brown of Ohio, who is up for re-election in 2018, has stepped boldly into the breach. Brown has released a 77 page, meticulously documented report –Working Too Hard for Too Little – that delves into how policies and power have undermined workers, and offers the elements of an agenda to rebuild the middle class. Senator Brown details how the policies that have structured globalization, technology, corporate management have undermined workers, savaged unions, and pushed companies to offshore, contract out, and cut back on jobs, wages and benefits. He then offers a worker based alternative agenda, some old and some new. He’d act directly to lift the floor under workers – requiring a $15.00 minimum wage, setting up a national fund to finance 12 weeks family and medical leave, mandating minimum paid vacation days and enforcing overtime pay. He calls for empowering workers at the workplace– cracking down on labor violations, curbing wage theft, policing misuse of contract labor, and reviving the right to organize and bargain collectively. While Republicans are intent on destroying unions, Brown argues that clearly we all have a large stake in challenging the current imbalance of power in the workplace. He details measures to help workers save for retirement – including matching grants and expansion of opportunities for part-time and short-term workers. The academic rigor – complete with footnotes – of Brown’s report is a rarity among politicians. It exposes House Speaker Paul Ryan’s much celebrated power points for the thin gruel that they are. Brown doesn’t see creating jobs as a standalone – affordable health care, better schools, access to colleges and good training, aggressive anti-trust and more are also vital. Work unites all of us, Brown writes, citing Pope Francis: “We don’t get dignity from power nor money or culture. We get dignity from work.” With Working too Hard for Too Little, Brown has shown Americans that there is an alternative. The choice is not between Trump’s antics and more of the same. Good analysis leads to bold alternatives that offer a way out. His courage and his leadership should be applauded. This blog originally appeared in ourfuture.org on March 10, 2017. Reprinted with permission. 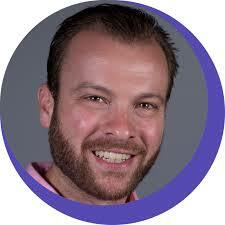 Robert Borosage is a board member of both the Blue Green Alliance and Working America. He earned a BA in political science from Michigan State University in 1966, a master’s degree in international affairs from George Washington University in 1968, and a JD from Yale Law School in 1971. Borosage then practiced law until 1974, at which time he founded the Center for National Security Studies. In his first days in office, President Donald Trump has launched a major effort to hurt job growth, stifle innovation, and make Americans sicker and less productive. How? By waging war on regulations, particularly those designed to protect the environment. Yet, contrary to popular myth, regulations such as clean air and water standards do not have a net negative impact on job growth. Indeed, studies have found that the exact type of regulations Trump is targeting actually spur innovation and competitiveness. 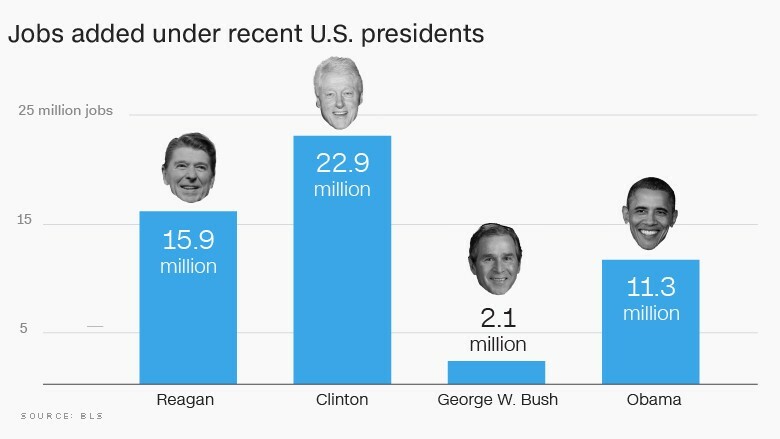 Total jobs created by recent 2-term Presidents. CREDIT: Bureau of Labor Statistics via CNNMoney. As Bureau of Labor Statistics data make clear (above chart), the recent two-term presidents who were in favor of regulation, especially environmental regulation (Obama and Clinton) created vastly more net jobs than the anti-regulation Presidents (Reagan and George W. Bush). “Businesses have added jobs at a nearly 2.5 times faster rate under Democrats than under Republicans, on average,” the U.S. Congress Joint Economic Committee reported in June. The multiple economic benefits of regulations are well documented. First, EPA regulations make companies invest money to reduce some of the damage that results from their operation— such as polluting the air or water. That investment directly creates jobs, which generally cancel out any jobs lost by the cost imposed on the polluters. Health and mortality improvement from EPA clean air regulations since 1990, according to peer-reviewed research. Via EPA website (for now). 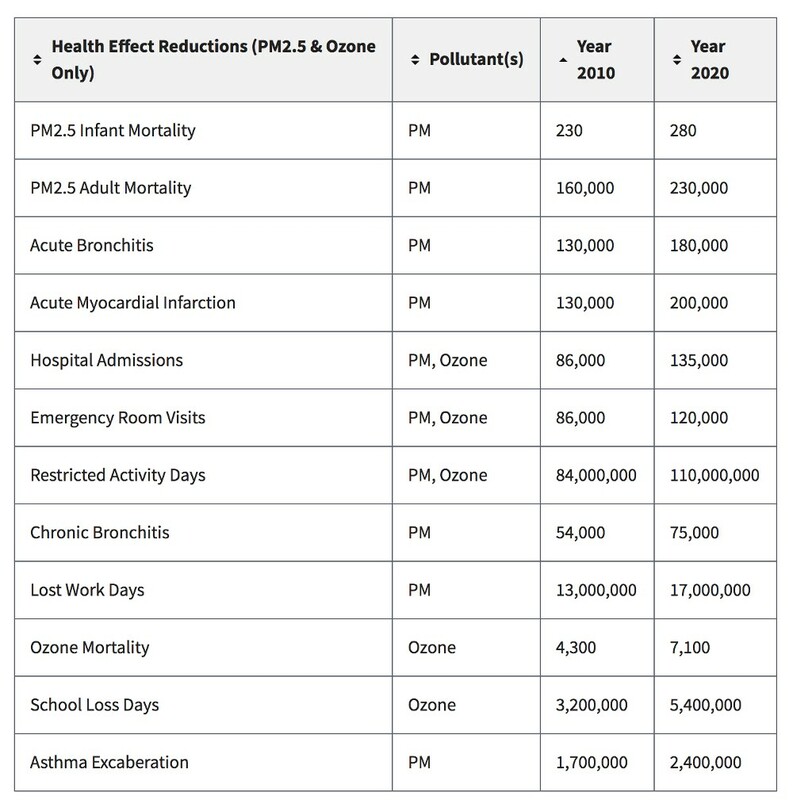 EPA particulate regulations (PM2.5) alone are now saving some 200,000 lives a year. And the benefits to the economy of these health improvements are enormous. The loss in economic output due to restricted activity, sickness, and death is enormous. Indeed, the 2016 “Draft Report to Congress on the Benefits and Costs of Federal Regulations” by the Office of Management and Budget found that over the previous 10 years, EPA’s air regulations cost the economy $41 to $48 billion (in 2014$) while providing benefits worth $172 to $668 billion. The same report found that Energy Department efficiency standards—which Trump has also frozen—cost the economy $7.5 to $10.6 billion but provided $19 to $32.6 billion in savings. And it found that the joint EPA and Transportation Department “rules pertaining to the control of greenhouse gas emissions from mobile sources and improved vehicle fuel economy” had costs of $9.5 to $18 billion and benefits worth $35 to $64 billion. It’s worth noting that a comprehensive peer-reviewed analysis of the performance of the U.S. economy in the past six decades found that “growth in total factor productivity was much faster under Democrats (1.89 percent versus 0.84 percent for Republicans).” So if anyone’s policies are hurting productivity, it would appear to be the GOP’s. 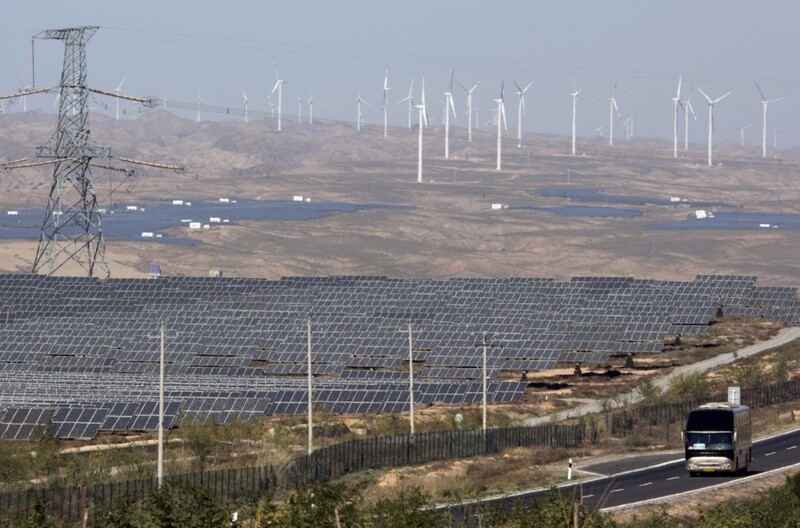 Let meA bus moves past solar and wind farms in northwestern China. Beijing is using the kind of investments and regulations President Trump opposes to become the world leader in this fast-growing source of new jobs. CREDIT: AP Photo/Ng Han Guan. The Paris climate deal—unanimously agreed upon by 190 nations in December 2015—means that the potential revenues generated for cleantech in the coming decades will be measured in the tens of trillions of dollars. This potential is quickly becoming a reality. Other countries, especially China, have used regulations and investment to become leaders in clean energy technologies like solar and wind. And now China is using the same strategy with batteries and electric vehicles (EVs) to capture what is projected to be an EV market of more than 37 million in 2025. But Trump intends to kill the very policies and regulations that would give the U.S. a piece of what is becoming the largest collection of new job-creating industries. So, tragically, Trump’s war on regulations will not only kill countless U.S. jobs, it will kill a lot of people. This post appeared originally in Think Progress on January 25, 2017. Reprinted with permission. Dr. Joe Romm is a Fellow at American Progress and is the founding editor of Climate Progress, which New York Times columnist Tom Friedman called “the indispensable blog” and Time magazine named one of the 25 “Best Blogs of 2010.” In 2009, Rolling Stone put Romm #88 on its list of 100 “people who are reinventing America.” Time named him a “Hero of the Environment? and “The Web’s most influential climate-change blogger.” Romm was acting assistant secretary of energy for energy efficiency and renewable energy in 1997, where he oversaw $1 billion in R&D, demonstration, and deployment of low-carbon technology. He holds a Ph.D. in physics from MIT. Working people fought for this. Don’t let Donald Trump get the credit that goes to those union workers. This article originally appeared at DailyKOS.com on January 9, 2017. Reprinted with permission. Laura Clawson is a Daily Kos contributing editor since December 2006. Labor editor since 2011. It was a huge announcement. An announcement so full of winning that we may even get tired of winning. There’s just one problem. It’s not true. Or, at least, the suggestion that Trump is responsible for new, previously unannounced jobs is not true. The jobs are coming to the United States, but they are coming as part of a series of investments that were first announced in mid-October. Sprint’s parent company, SoftBank, said in October that it would partner with a Saudi sovereign wealth fund to invest about $100 billion in the tech sector. On December 6, SoftBank CEO Masayoshi Son told Trump the company would use some of these funds to bring 50,000 jobs to the United States. Trump promptly announced as much on Twitter. Yet, despite the fact that the 5,000 jobs Trump took credit for on Wednesday were already announced earlier this month and are part of a series of investments that were themselves announced in mid-October, numerous headlines presented Trump’s claim as fact. Sprint, it should be noted, helped Trump push a favorable line. 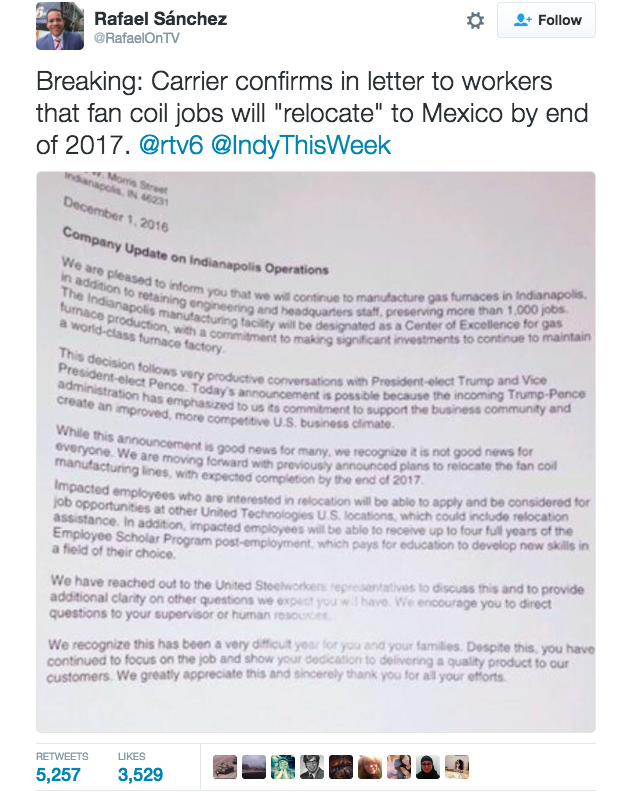 “We are excited to work with President-Elect Trump and his Administration to do our part to drive economic growth and create jobs in the U.S.,” Sprint CEO Marcelo Claure said in a statement included in that release. It’s also worth noting that Sprint has an incentive to help Trump use already-announced news to bolster his approval ratings. The company attempted a merger with its rival T-Mobile, but abandoned that effort in 2014 due to antitrust issues raised by the Federal Communications Commission. After Trump takes power, however, Sprint could attempt to revive this effort under the new administration. This blog originally appeared in ThinkProgress.org on December 29, 2016. Reprinted with permission. Ian Millhiser is the Justice Editor at ThinkProgress. 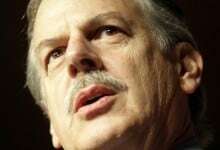 He is a skeptic of the Supreme Court, hater of Samuel Alito, and a constitutional lawyer of ill repute. Contact him at imillhiser@thinkprogress.org. Worse yet, this deal is lose, lose, lose for the domestic economy. First, this inflow of foreign capital will bid up the U.S. dollar, which will reduce the competitiveness of U.S. manufacturing by making imports cheaper and exports more expensive. This will increase the U.S. trade deficit and reduce employment in U.S. manufacturing. The U.S. dollar has gained about 25 percent in the past two-and-a-half years, and one-fifth of that increase has occurred since the election. As a result, the trade deficit in manufactured goods increased sharply in 2015 and is poised for another increase after the recent run-up in the dollar. Meanwhile, the United States has lost 78,000 manufacturing jobs since the first of the year due, in part, to the rising trade deficit. SoftBank provides a clear example of plans to acquire and merge existing U.S. businesses. This article originally appeared at DailyKOS.com on December 17, 2016. Reprinted with permission. Coal miners, their communities and Faith groups are calling on President-presumed-Elect Donald Trump to honor his campaign promise to help coal workers. In an “Open Letter to President-Elect Donald Trump from coal miners,” hundreds of coal miners from Appalachia to Western coal lands asked for help for coal communities across the country. They want Trump to take action to make sure coal CEOs and companies keep promises to restore the landscape and local environments by “reclaiming” the old mines, which would mean jobs in coal communities. They also asked Trump to protect the pension and health benefits they were promised. The companies and CEOs made millions from the mines and should not be allowed leave behind a devastated environment and ruined communities. The letter was organized by Interfaith Worker Justice (IWJ), a network of Faith groups and worker centers working “to mobilize people of faith and work advocates in support of economic justice and worker rights at the local, state and national levels.” It asks Trump to stop coal CEOs and companies from abandoning their responsibility to clean up old mines. Please visit the website Help Coal Workers to read stories from coal workers, read the letter and sign a petition asking Trump to honor his promises. Anybody who works on American coal mines knows that the industry is rapidly changing. Mines are closing, coal companies are declaring bankruptcy, and many of us are losing our jobs and our livelihoods. For some of us, these are the only jobs that we’ve ever known – once assured of a lifelong and stable career with good pay and a community in which to raise a family. No more. We all have strong opinions about why our industry is suffering: which politicians or whose agenda is to blame. Regardless of politics, the bottom line is that we need to take care of our brothers and sisters who are facing uncertain times. Ensure federal and state governments use every legal option to prevent coal companies from shirking their commitment to reclaim and repair the public lands mined for private profit. Through bankruptcy proceedings, we have learned that several companies are working to drastically reduce their financial and legal responsibility to reclaim mined land. Any new or expanded coal leasing should be in concert with the strongest possible assurances that coal companies will honor their obligations to communities to create jobs by reclaiming and rehabilitating mined land. Work with Congress to increase revenue and funding for communities as well as programs that support local economies. There are a number of pieces of legislation on the table in Congress that would invest in coal communities, fund reclamation and economic revitalization projects, and protect promised benefits to coal miners and their families. We, the undersigned coal miners and concerned individuals from across the country, demand action that will bring relief to coal communities. This post originally appeared on ourfuture.org on December 15, 2016. Reprinted with Permission. This week in the war on workers: What happens if Obama's overtime expansion is reversed? CBO finds that reversing the rule would strip nearly 4 million workers of overtime protections. According to the report, there are nearly 4 million workers whose employers will be required to pay them overtime when they work more than 40 hours a week when the rule goes into effect. CBO finds that reversing the rule would reduce workers’ earnings while increasing the hours they work. The report finds that if the rule is reversed, the total annual earnings of all affected workers would decrease by more than $500 million in 2017. Further, these workers would earn less money while working more hours. At a time when income inequality is already of great concern, CBO finds that reversing the rule would primarily benefit people with high incomes. If the rule were reversed, affected workers, most of whom have moderate incomes, would experience a loss in earnings. These losses would be accompanied by an increase in firms’ profits, of which the vast majority (CBO estimates 85 percent) would accrue to people in the top income quintile. CBO finds that reversing the rule would not create or save jobs. The report finds no significant impact on the number of jobs in the economy. This article originally appeared at DailyKOS.com on November 19, 2016. Reprinted with permission. — Robert Kraig, Executive Director of Citizen Action of Wisconsin. One group organizing people and forcing public officials to declare whose side they are on is Citizen Action of Wisconsin, a People’s Action affiliate. They are an “issue focused coalition of individuals and organizations committed to achieving social, economic, and environmental justice.” Citizen Action of Wisconsin is taking on the Republican Scott Walker administration over their privatization and use of the state’s “jobs agency” Wisconsin Economic Development Corporation (WEDC) to subsidize corporations even as they move jobs out of the state. … In July 2011, WEDC was launched “with the mission of elevating Wisconsin’s economy to be the best in the world.” The quasi-public agency is run by a 15-person board chaired by the governor. The agency was soon caught up in controversy. In July 2012, allegations of bid-rigging forced it to cancel a planned award to an information systems company. In October the Milwaukee Journal Sentinel reported WEDC had lost track of some $8 million in funds. In May, WEDC was slammed by the federal Department of Housing and Urban Development for misappropriating $10 million in federal funds. In May 2013, the Wisconsin Legislative Audit Bureau found that WEDC had awarded a portion of these grants, loans and tax credits to ineligible recipients, for ineligible projects and for amounts that exceeded specified limits. WEDC controls an extraordinary amount of taxpayer funds. In fiscal year 2011-12 alone, Walker’s WEDC administered “30 economic development programs through which it authorized local governments to issue $346.4 million in bonds, awarded $41.3 million in grants and $20.5 million in loans, and provided $110.8 million in tax credits to businesses and individuals,” says the audit bureau. With all that taxpayer money, how many actual jobs have been created? The answer, in 2014, was, “Two official state data sets indicate that for every verifiable job Walker’s WEDC managed to create, the state lost more than two to plant closings and layoffs.” Then 2015 audit found that the problems had only gotten worse. In response to a series of outsourcing scandals Governor Walker’s troubled jobs agency, the Wisconsin Economic Development Corporation (WEDC), adopted in 2014 a 30 day advanced notification policy. This policy is supposed to give state policymakers early warning if a corporation receiving state economic dollars plans to outsource jobs or downsize more jobs than they are paid to create. An open records request by Citizen Action of Wisconsin found that despite a series of additional incidents of WEDC funded corporations outsourcing Wisconsin jobs, there are zero 30 day notifications in WEDC’s files. Data kept by the U.S. Department of Labor shows that at least 11,331 Wisconsin workers have had their jobs outsourced to other countries since Governor Walker’s scandal ridden jobs agency, the Wisconsin Economic Development Corporation (WEDC), was launched July 1, 2011. This is a very low-end estimate of the impact of outsourcing in Wisconsin because it only accounts for groups of workers who successfully applied for Trade Adjustment Assistance from the federal government by proving their jobs were eliminated because of global trade agreements. It does not account for outsourcing to other states, or downsizing where it is not possible to prove the jobs landed in a foreign country or were impacted by global trade deals. Both Governor Scott Walker and U.S. Senator Ron Johnson have consistently supported a rigged economic system which allows multinational corporations to pit Wisconsin workers against low-wage foreign workers. Also in August, a Wisconsin Public Radio report, “Citizen Action Of Wisconsin Claims WEDC Misrepresented Jobs Created In Sherman Park,” found that the agency was reporting success in creating 500 jobs in the very neighborhood where lack of opportunity contributed to two nights of disorder following the police shooting of Sylville K. Smith. Citizen Action of Wisconsin reviewed a database on the Wisconsin Economic Development Corporation website and found the agency reported supporting and investing in the creation of 483 jobs in Sherman Park located on the city’s north side. When the nonprofit researched the companies adding those jobs, it found the companies to be located outside Milwaukee. Summary: Republicans privatized the state economic development agency, awarded subsidies to companies that included campaign donors, stripped safeguards, and “lost track” of where millions of taxpayer dollars went. Meanwhile, companies receiving subsidies intended to create jobs in Wisconsin were actually shipping jobs out of the state and country, as part of an effort to pit state workers against low-wage workers and force down wages. WEDC aided that effort by misrepresenting the jobs numbers, and even reporting nonexistent job-creation. Following last week’s revelation that over 11,000 Wisconsin jobs have been outsourced in the past five years, advocates for good jobs launched a statewide tour on Thursday of corporations who are outsourcing while taking public job creation dollars. At a news event today community leaders detailed how Rexnord outsourced Wisconsin jobs at the same time it took millions in public job creation dollars from Governor Walker’s scandal plagued Wisconsin Economic Development Corporation (WEDC). [. . .] According to data from the U.S. Department of Labor and WEDC, Rexnord has actually outsourced more jobs than it has been paid with public dollars to create. The company has received $2.75 million in WEDC funds, but has so far outsourced 130 more jobs than it is has created. Robert Kraig, Executive Director of Citizen Action of Wisconsin explained the reason for the tour. Click here: 11,331 WI jobs Gone Overseas in Last 5 Years – Tell Madison: Enough! This post originally appeared on ourfuture.org on September 12, 2016. Reprinted with Permission.